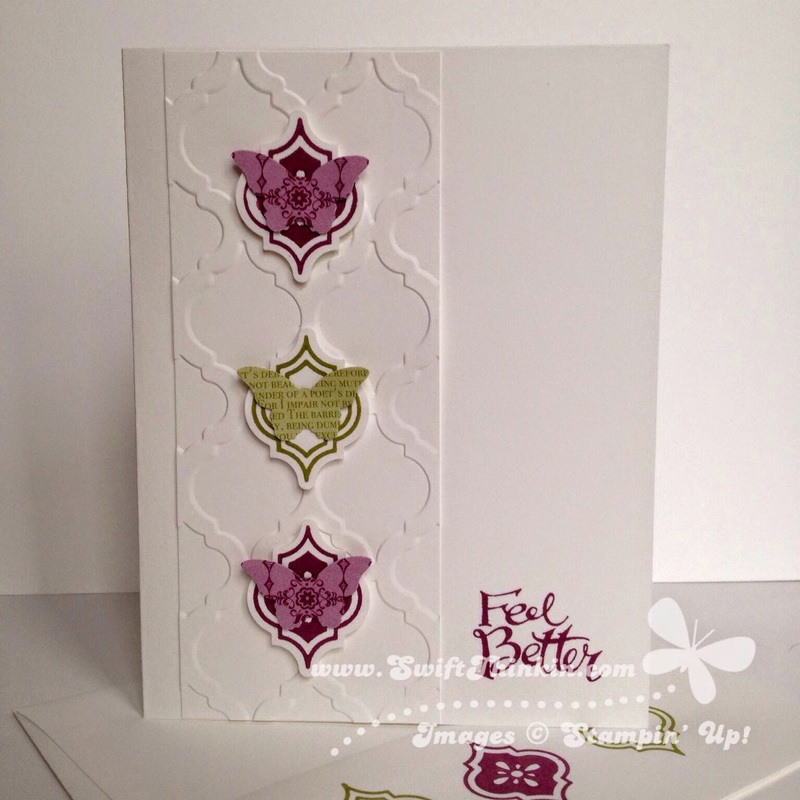 My tip here is to make sure the strip of cardstock your embossing is nice and centered on the pattern. Otherwise it could look a bit lopsided when you add the stamped images on top of it (they are stamped and punched, and then mounted with pop dots). I hope you are having a wonderful labor day. I can't believe summer is over :( But that means fall is here! My favorite :) as it brings changing leaf colors and pumpkins and Thanksgiving... Ah Fall. By the way if you haven't seen the fall Stampin' Up! items yet- whoa prepare to be blown away. I think I'm in love! Be sure to flutter back again later this week for the last mosaic card!